Our roots are in the heritage of ancient Asian hand painted interior surfaces that have been appreciated through the centuries by the East and West and are still relevant to contemporary interiors using the highest quality techniques and skills. Our bespoke made to order and hand painted and embroidered wall coverings, fabric and resin surface materials are the creation of David Qian who has a deep understanding of his heritage’s culture. The history of hand painted Chinese wallpaper dated back to 18th century, they were created in China for the British market as a direct result of a growing fashion for imported porcelain, silk and lacquer ware imported from China and Japan. This so-called Chinoiserie style was achieved prominence in Europe in the eighteenth century, symbolizing the exotic, elegant, and glamorous. 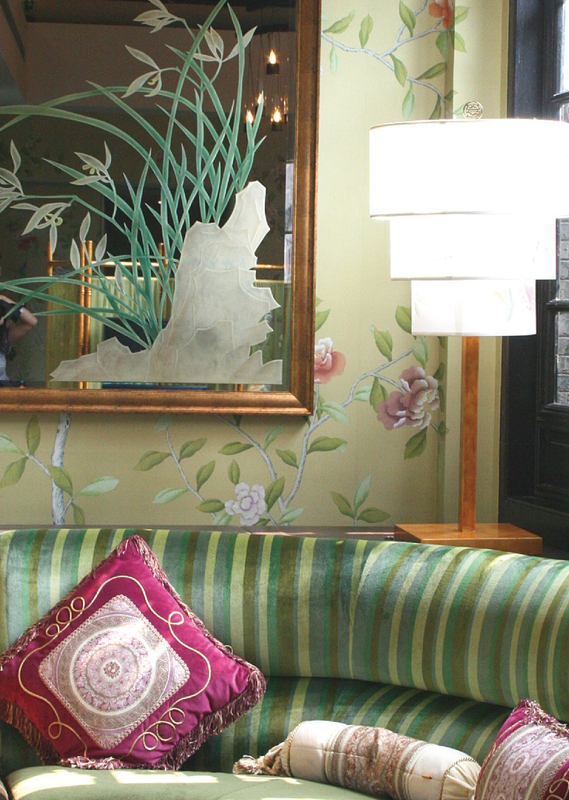 People strove to integrate Chinoiserie into their homes through textiles, furniture, and wallpapers. Hand-painted Chinese wallpapers became popular from the 1740s. The wallpaper is hand painted in inks and watercolor, on rice paper or silks, features flowering trees and brightly colored birds, landscapes, Chinese figures, and pagodas. The very rich in Europe and American had their palaces, chateaux, and manor houses decorated with hand painted wallpaper. Buckingham Palace, The Brighton Pavilion, Winterthur museum are among the places where you can still see these hand painted wallpapers. © 2019 David Qian All Rights Reserved.